Newly married couples often have a lot of financial planning to do: starter house, kids, a vacation fund, ​a dream house, a college fund. It's easy to overlook or ignore planning for your shared retirement. Don't let this happen. The golden years may ultimately be the best of your marriage if you understand each future other's goals, needs, and expectations. Here's are seven tips for planning for retirement as a couple. Sit down with your spouse and discuss your ideal retirement. One of you may envision retiring at 45 while the other is happy to work forever, you may dream of a cabin in the country while your spouse pictures spending your golden years in a motor home. The sooner you are aware of the other's goal, the more time you have to work toward a compromise and a shared ideal. Each of you is ultimately responsible for your own retirement, but just as you make today's financial decisions together, you should save for retirement together. Is your spouse participating in a 401(k)? If not, could you afford to add a bit more pre-tax income to your own plan to meet your mutual goals? If one spouse is not working outside the home, you may want to consider a spousal IRA, which allows you to put aside funds in a tax-deferred investment account for the benefit of an unemployed spouse. 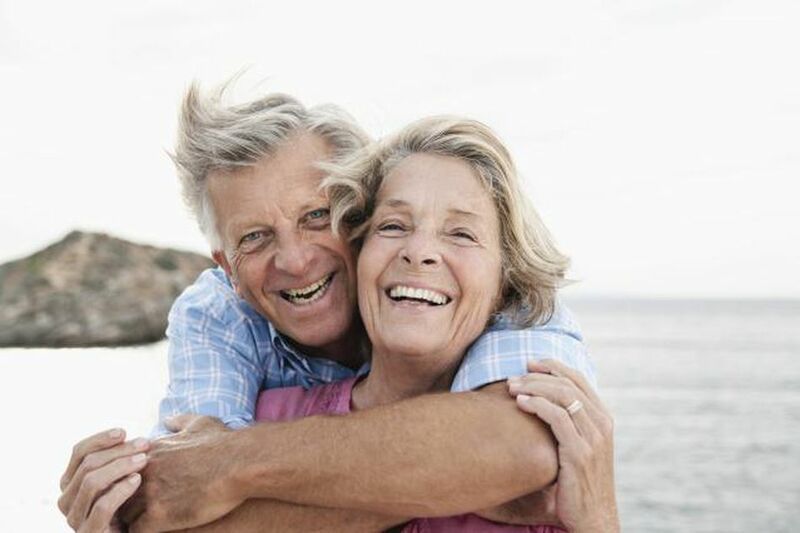 Married couples have an excellent opportunity to maximize lifetime social security income by timing their individual and spousal claims in just the right way. This type of planning depends on you, your age, the age of your claim and your spouse. A bit of careful planning in the years before age 62, the earliest at which you can start collecting, can make a difference in his and her guaranteed income for life. Depending on your stage in life, you may be able to gauge how much you will need in retirement. Perhaps you are convinced you could make a budget work with half of your current income, but your spouse wants a lifestyle that will require the same level of income you earn today. Aligning these expectations will help you build a more realistic plan. Remember when you first started your 401(k)? You had to include the name of one or more beneficiaries, the people who will receive the money if you should pass on. Make sure this information has been updated since is as up-to-date as possible, and reevaluate in the wake of any major life event, such as a marriage, the birth of a child, a divorce, or a family death. Changing your beneficiaries can be done easily by contacting your brokerage firm if you have an IRA or the human resources representative that administers your company's 401(k) plan. Take it from one retiree who did it, retiring at the same time as your spouse may sound like a lot of fun, but in reality, there can be a lot of adjustments that are difficult for two people to go through together. By staggering retirement, each spouse gets a better sense of their daily routines, hobbies, aspirations and social life outside the home. If you are happily married, you should not discuss divorce in relation to your retirement plan. But if the marriage is coming to an end, the retirement assets are on the table, and you must work to secure your own retirement savings and long-term plan. The separation of marital assets can extend to retirement plans, involving something called a qualified domestic relations order (QDRO) to divvy the money without early withdrawal penalties. You may also be entitled to spousal support in retirement. Divorced or widowed spouses qualify for social security benefits on the record of a spouse.